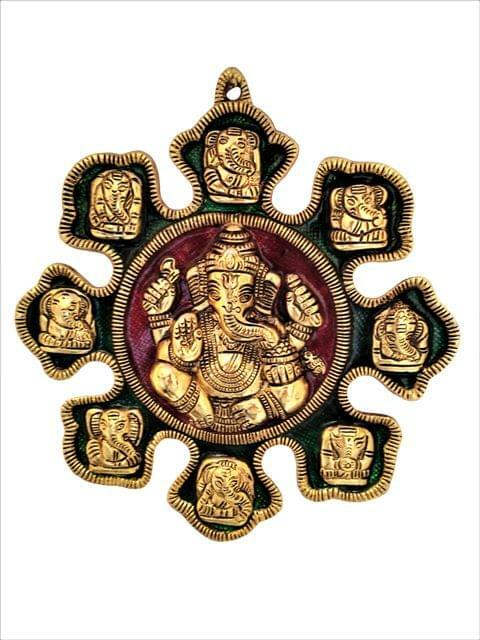 A beautifully casted wall hanging of metal depicting the 8 forms/ postures/avatars of Ganesha. 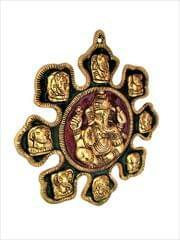 The form of each of these Ganesh and His trunk are distinct from one another and has their own legend. 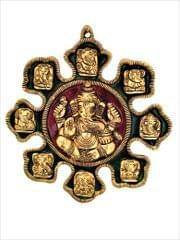 These are Mayureshwar, Siddhivinayak, Ballaleshwar, Vardhavinayak, Chintamani, Girijatmaj, Vigneshwara & Mahaganpati. 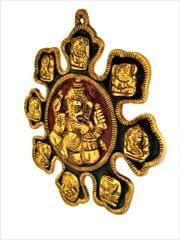 Hanging this in the house brings good luck & prosperity.